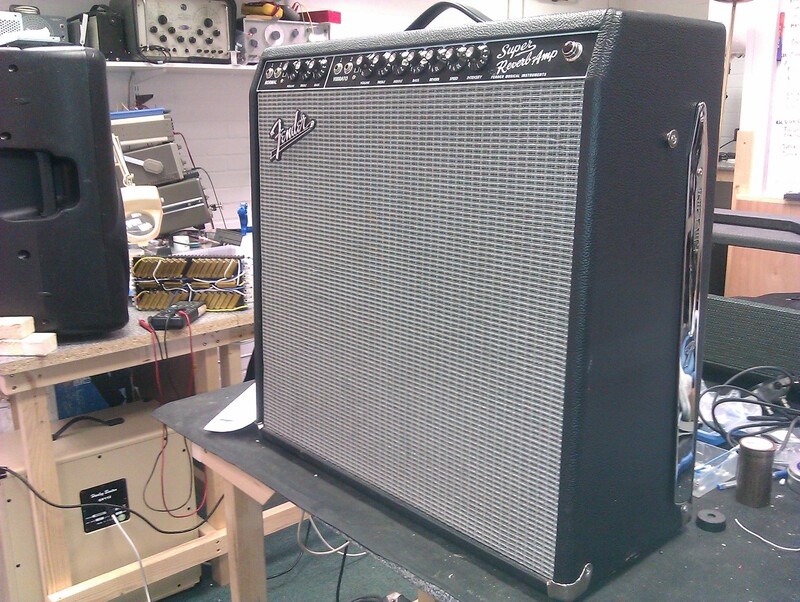 Fender Super Reverb. This is a nice example of a ’65 reissue Super Reverb. With a punchy 45W of clean power, and 4 x 10″ speakers, this amp really is super.